DSM IV: Hand behaviors can signal mental disorders! 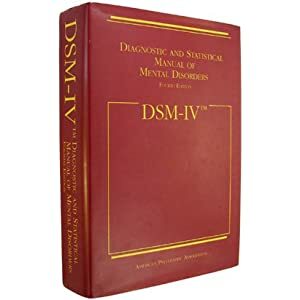 'DSM IV: Diagnostic and Statistical Manual for Diagnosing Mental Disorders'. Interestingly, in various sections of this 'authority' (the guidelines are used by health professionals in all regions of the world)... clear references are described which illustrate how certain 'hand behaviors' (gestures & expressions) can signal severe mental conditions- & problems. 7 - 'wringling of the hands' can signal AGITATION (page 819).